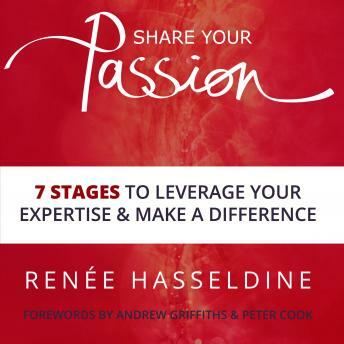 This book details Share Your Passion's proven 7 Stage process to leverage your expertise and make a difference. It inspires and motivates you to ignite your passion and capture the essence of your own unique methodology, with step-by-step directions and action plans to escape the trading time for money' trap. If you want to turn your knowledge and experience into online courses, webinars, group programs, live workshops and retreats, then this book is a must read.